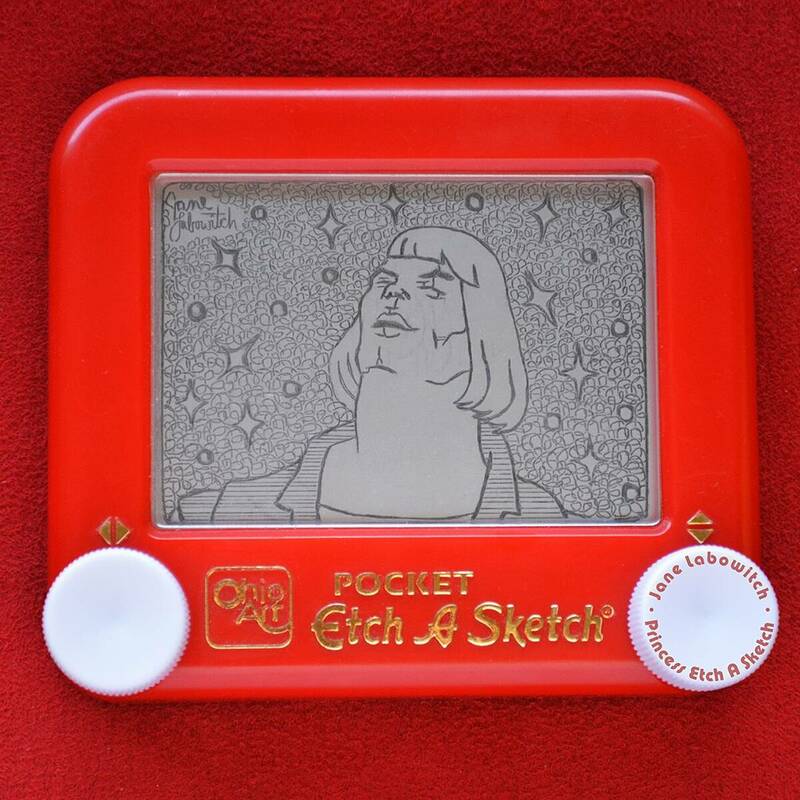 Wielding nothing but the retro toy, Jane Labowitch creates one-line, monochrome masterpieces under the apt moniker Princess Etch A Sketch. 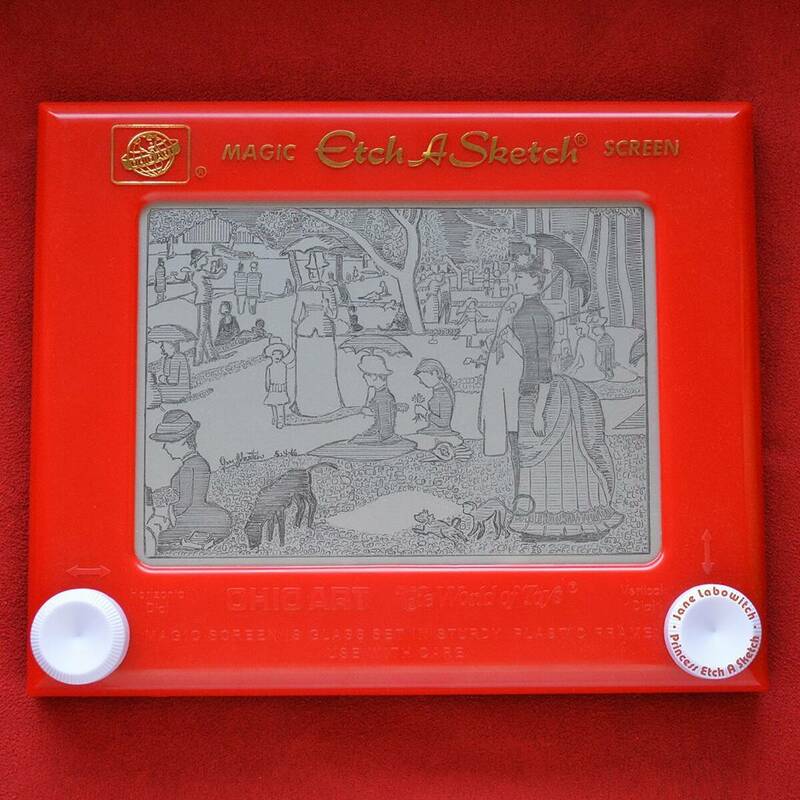 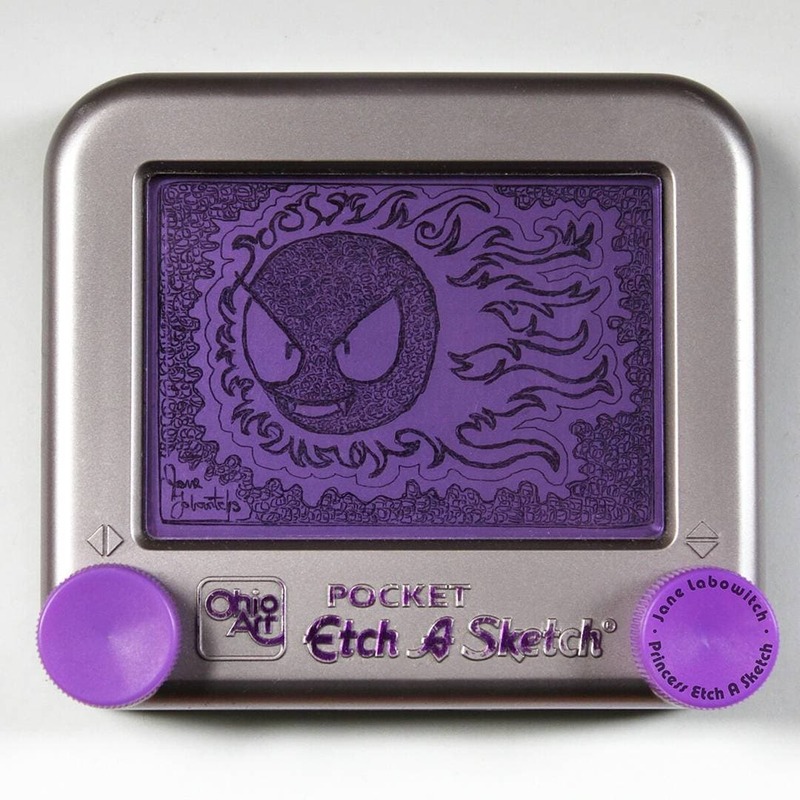 The Chicago-based Etch A Sketch artist makes working with the notoriously frustrating medium look super easy. 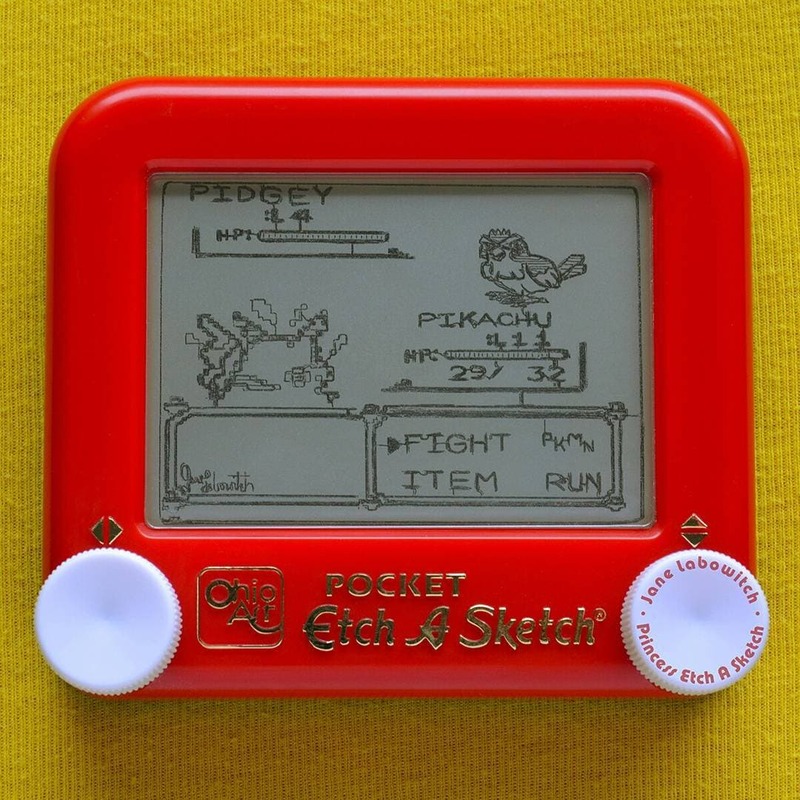 With the retro tech, she renders the complexities of classic paintings, the pixelated aesthetic of pokemon and the idiosyncrasies of famous landmarks as deceptively simple, often funny and always charming black and grey miniatures. 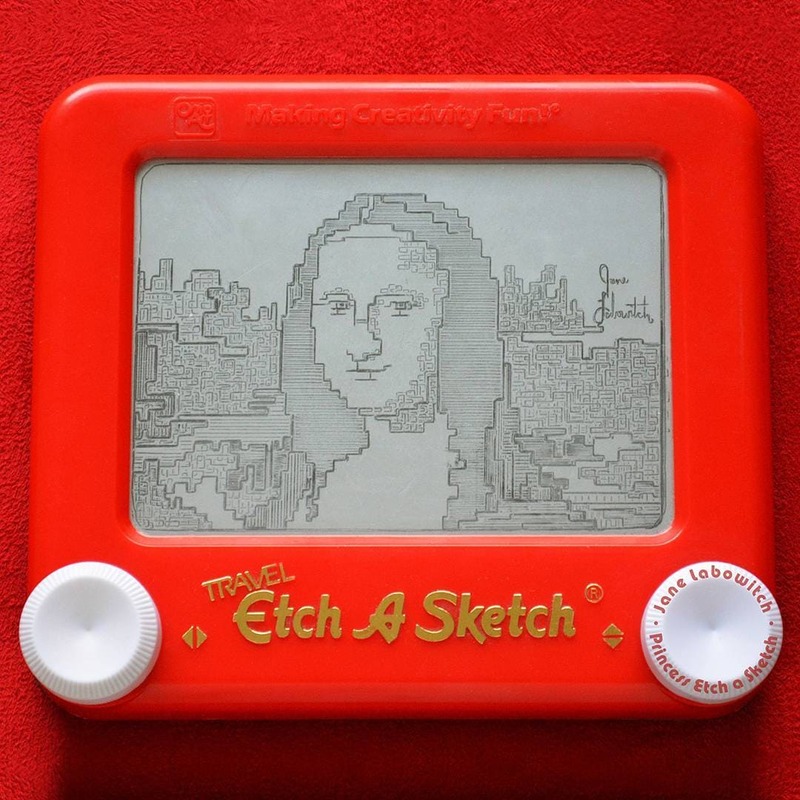 All the while, working with and playing off of the limitations that an Etch A Sketch’s oddball controls impose. 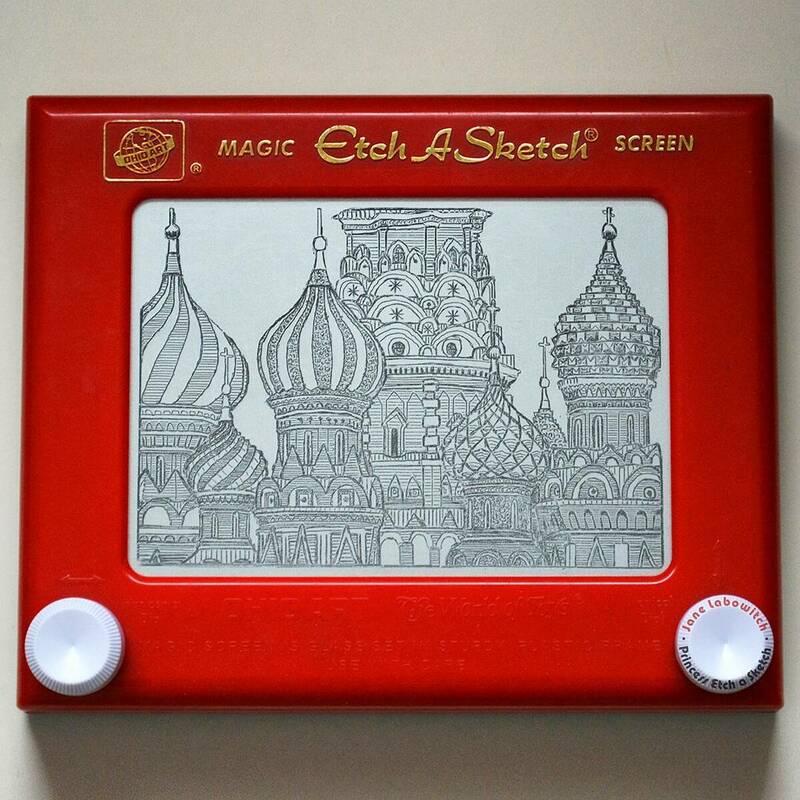 If you love her work, you can check out more at princessetchasketch.com, purchase one-off pieces at Etsy and follow via Facebook, Instagram and Tumblr.